At 11:30 a.m. on May 31, 1944, Lt. Jg. 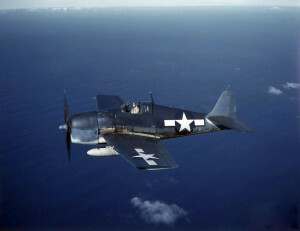 Maxwell Michaux Corpening, 24, was killed when the U.S. Navy F6F-5 Hellcat, (Bu. No. 58317), he was piloting crashed in Worden’s Pond during a training flight. The “strange planes” are not identified, however their actions led to the breakup of the formation, which led to a mid-air collision between Lt. (jg.) Corpening’s aircraft and another Hellcat. The other Hellcat was able to land safely at Groton Naval Auxiliary Air Field.